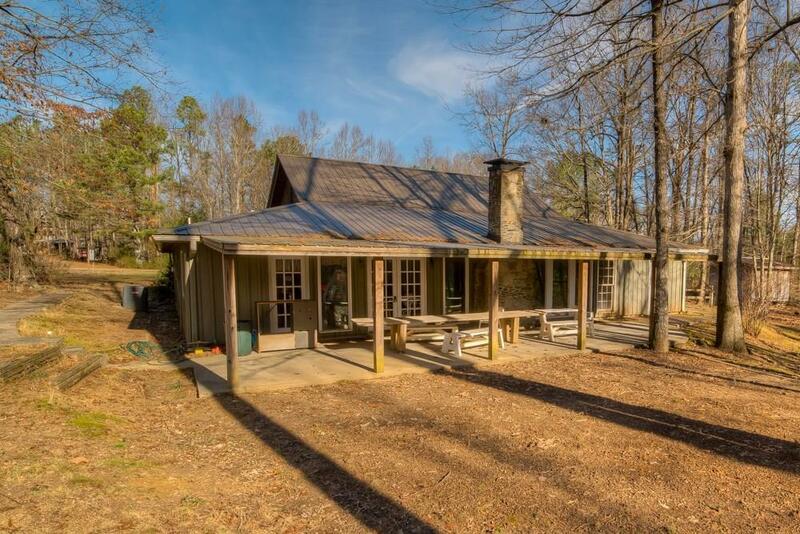 Sitting on a level 3 acres (zoned agricultural) this 3 bedroom and 1.5 bath building has a metal roof, plenty of parking, and loads of character. Walk into a large open room complete with a fireplace sitting area, stage (which could be changed if making a home), tall vaulted ceilings, and floor to ceiling windows. Exit through the double doors onto a over-sized back porch overlooking a level backyard. Custom built, this building is perfect for a home, business, or church (which it is currently used as). Directions: From Ellijay Take Old Highway 5 South To A Right Onto Round Top Road. Property Will Be On Your Left.